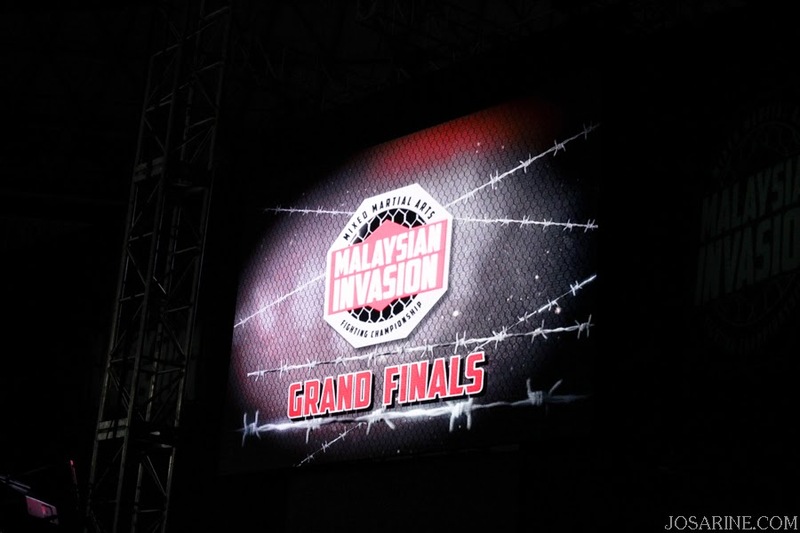 This has been mentioned on Hitz.fm, showed on Astro Star Sports, and on the 15th of June, 2013 it was LIVE at Stadium Negara. 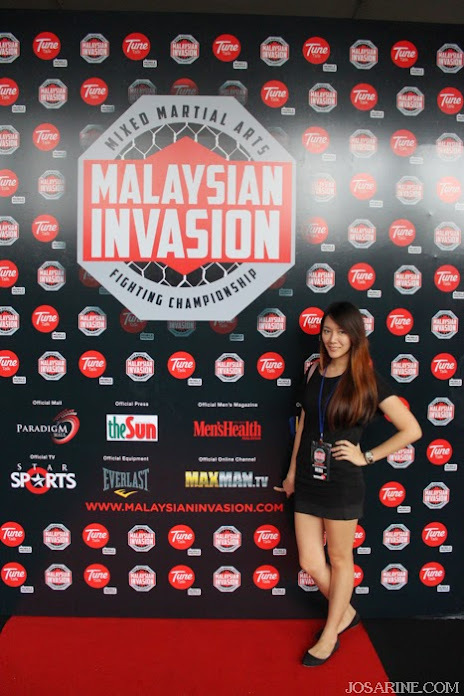 I'd like to give a shout out to Esente Communications for the opportunity to watch the Malaysian Invasion Mixed Martial Arts Grand Finals live, the friendly treatment, Carl's Junior Burger, and the chance to meet the fighters after each fight. Many thanks to Elwyn as well for giving me a ride. As we arrived at about 6 to 7pm, the entrance was already packed with people, funny cause I actually thought we were a little too early. 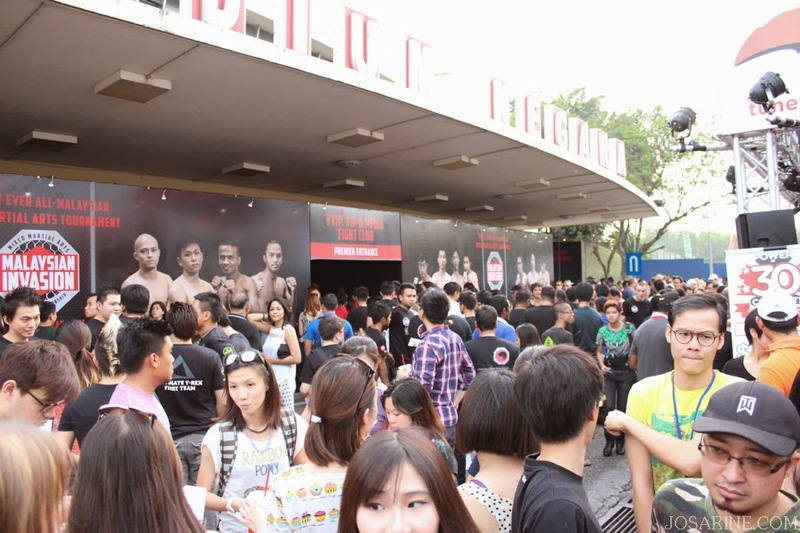 The first fighters who started the excitement of the night was Kenny Yap and Ngeoh "the Cacador" Jian Chong for the Flyweight division. 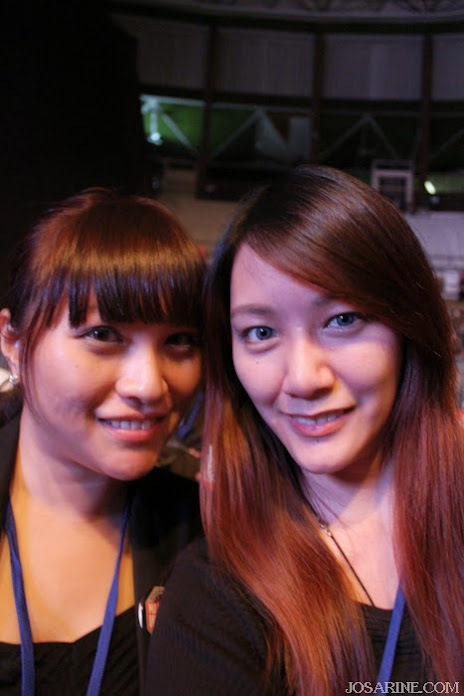 Me personally thinking that since they are amateurs, maybe the fight would not be as pro as what I saw at ONE FC. But I have to admit that their skills amazed me. I felt both determination and hunger from both fighters to win as they went on for a total of 5 rounds. 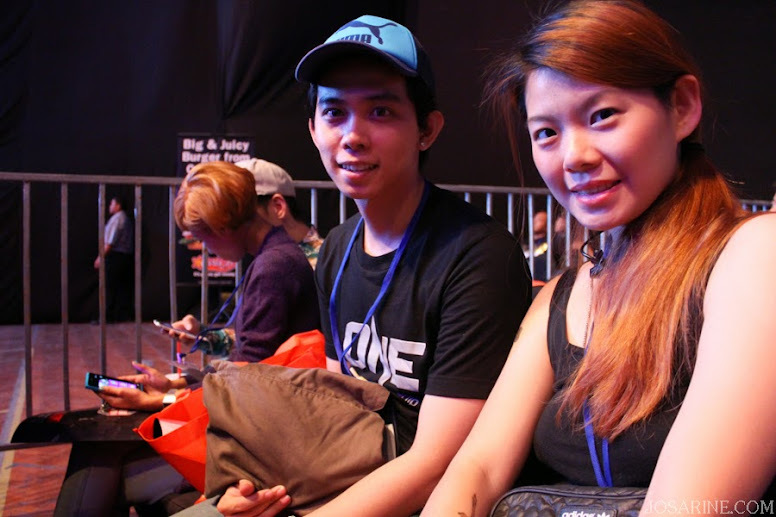 In the end, by unanimous judges' decision, Kenny Yap was crowned MIMMA's first Flyweight champion. The winner of the Middle Weight division is non other than the fighter above, Jim Chong "The Believer" Jing Yi. Hafiz Chandran who was his opponent lost to "The Believer" via referee stoppage in Round 3, with 1 minute and 40 seconds into the fight. The Featherweight division was between Keanu Subba and Muhd Ikram. Seeing that Keanu is much taller (178cm - 166cm), hence longer legs and arms, and despite they are both under the same weight category, I had a feeling that Keanu would definitely have the advantage in winning the fight. And I was right! Keanu won in just merely 29 seconds. I have to admit that Keanu is indeed skilled and good just like his cute brother Gianni Subba, it's in their blood. Adrian Tham who is known as The Tuckerman was crowned as champion for the Heavyweight division after he bewailed the crowd with his spectacular skills and techniques winning over Christopher Leow via TKO in Round 1, with 2 minutes and 46 seconds. 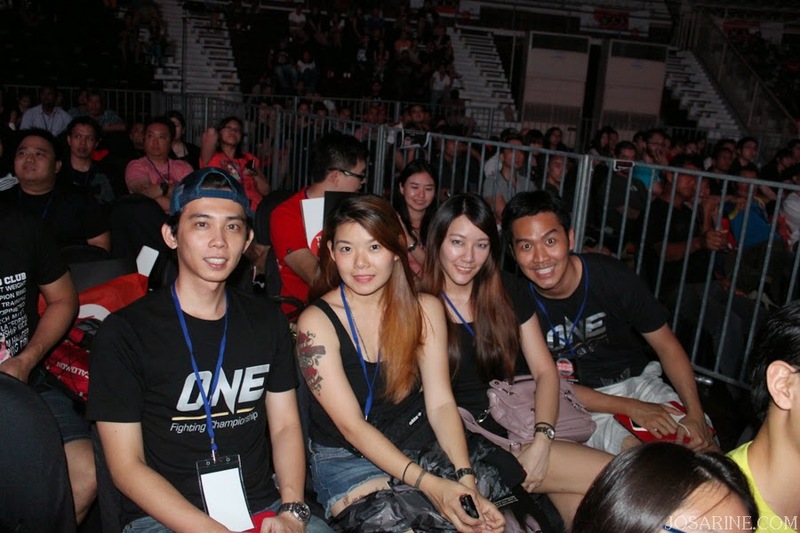 The Welterweight fight between Ooi Aik Tong and Chew Chee Chan added more excitement into the night. Their fight was fast, consistent, and by far for me, it was the best fight of the night at that time. Chew Chee Chan was somewhat leading in the first round, however during the second round it looked like he got a little tired. The Lightweight Championship goes to non other than Allen "Orang Utan" Chong as he showed astonishing ground techniques and BJJ skills and took down his opponent, Shammah Chandran. 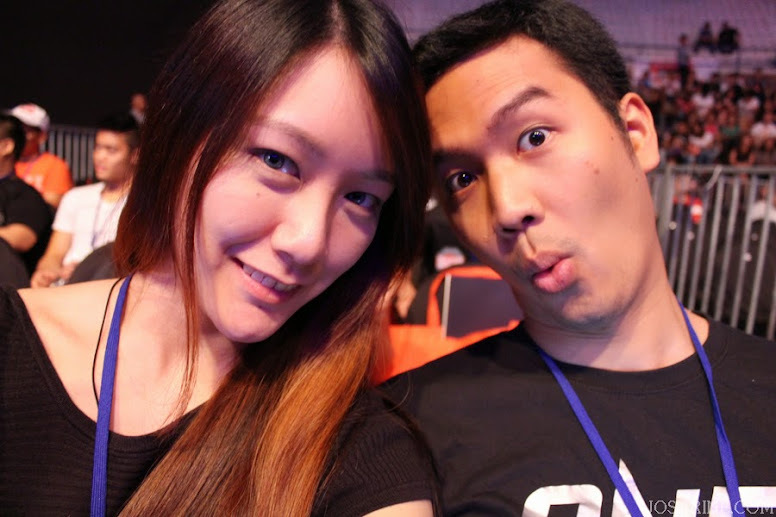 Allen is not only a fighter but the entertainer for that night because of his hyper and bubbly personality. This was a strong fight as both fighters were very equally skilled, but Shammah lost to Allen via arm bar submission. The wounds on Allen's face shows that this fight indeed was not an easy fight at all. Allen was grateful and thankful towards the people who helped him and he was the only fighter who thanked Jesus Christ (yes he literally said that). Being able to make jokes even after the exhausting fight, he stated that the wounds on his face would not be a problem since his wedding will be happening later in October (if i remember correctly). I have to admit that I really like Allen because he works hard, he's humble, and he is grateful and appreciative towards the people who have helped him become who he is today. MIMMA crowned their first Bantamweight champion to Prabu “Superman” Somanaidu won over his opponent Muhd Aiman via judges’ unanimous decision. Both fighters kept most of the fight standing with Prabu displayed a few take-downs. The night most of us been waiting for, the Superfights! 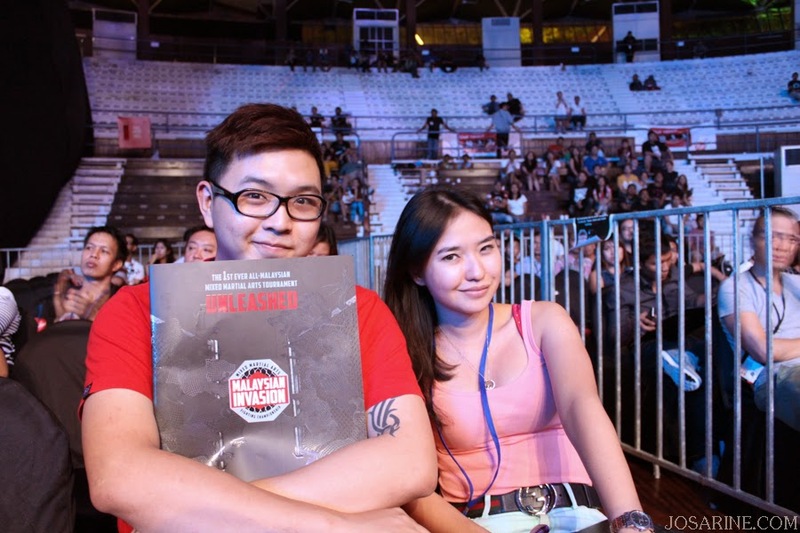 I may not be a huge huge fan of MMA but i do know who are some of the fighters, and the first superfight was between Edward Kelly, brother of the ONE Fighting Championship, Eric Kelly; and Tanaphong Khunhankoew. Sometimes I think the talent is in the blood because Edward won over via unanimous judges' decision. 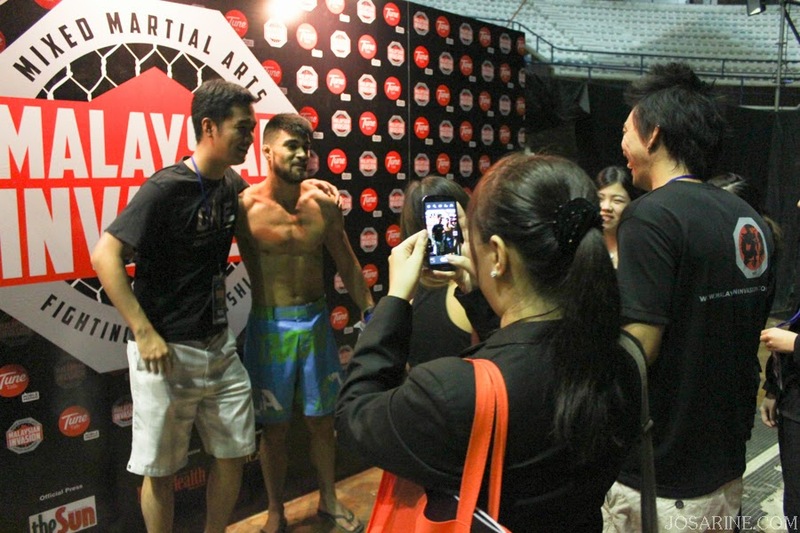 The fight between Saiful "The Vampire" Merican and Aditya Deshpande was pretty interesting. 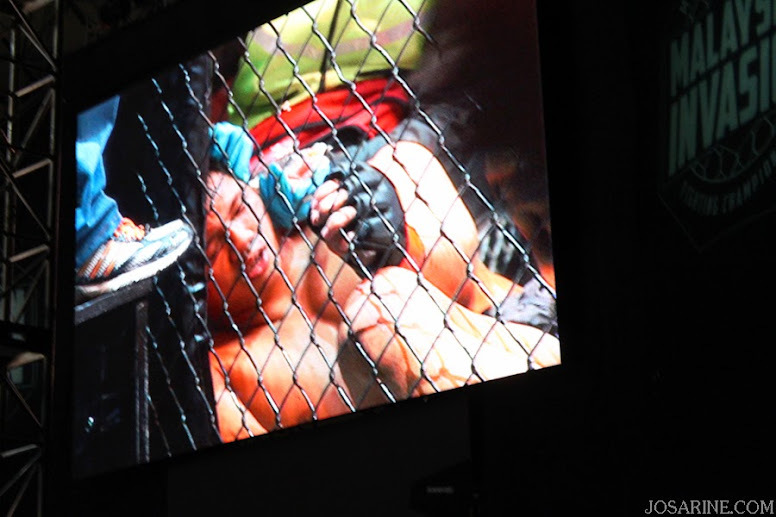 In ONE Fighting Championship, Saiful lost to his opponent but this time in MIMMA it is like he transformed 180 degree. He is now stronger, faster, quicker, and his fighting techniques were smarter as well. I have to say that Saiful deserved the win. Saiful won over Aditya from India via unanimous judges' decision. 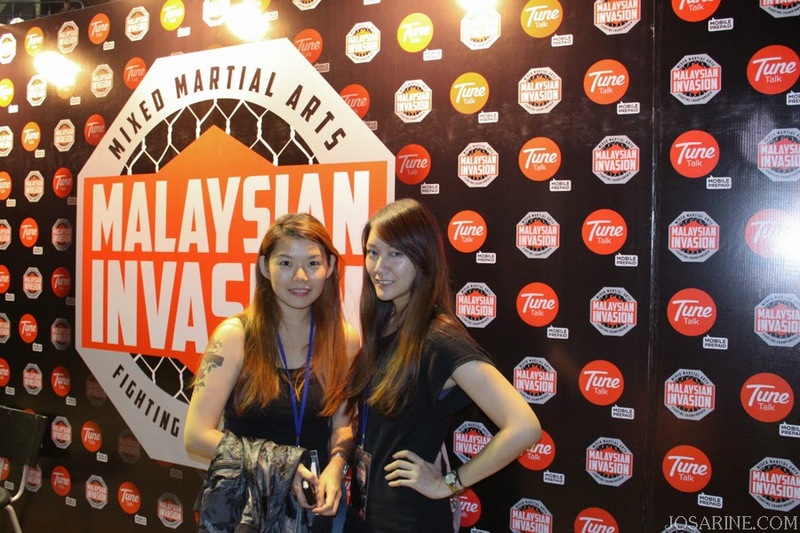 The last superfight of the night was non other than Alex Sexton from Costa Rica and Malaysia's Peter Davis. This was the fight that I have been waiting for the whole night, but unfortunately for me it ended faster than expected. As a supporter of Peter Davis, it was sad to see Sexton triumphed against Davis in Round 1 of 4 minutes and 50 seconds via TKO. My heart was beating so fast as I saw Sexton punching Davis on the ground repeatedly. But regardless it was a fair fight. After the show some of us went into the interview area to ask questions. As for me I just wanted a picture with the winner, Ariel Sexton. He's even more good looking close up :p. But at the same time I noticed Peter sitting on the chair talking to his friends holding a pack of ice. Man, I felt so sad seeing him like that, but that's the life of being a MMA fighter, you win, you lose, and you get hit and injured. Iris being all cute with Ariel. For more information, visit www.malaysianinvasion.com. You really tak tau malu. I've seen that old lady before.